Leicestershire had a mixed season in 2017, collecting the wooden spoon in the Specsavers County Championship. They made the quarter-finals of the Natwest T20 Blast but achieved nothing but obscurity in the Royal London One Day Cup. This mixed season lead to the Foxes mixing it up off the field in response, head coach Pierre De Bruyn has gone, replaced by county legend Paul Nixon as overall Supremo. 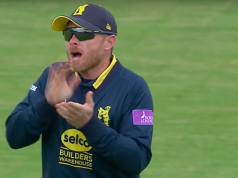 Following De Bruyn out of the door was bowling coach Greame Welch, to be replaced by Matt Mason, John Sadler has been promoted to help Nixon with the first team affairs and he in turn has been replaced by ex-Lancashire all-rounder Tom Smith as the man in charge of second team affairs. In the past Leicestershire have excelled in the white-ball formats and will be hoping that the return of the talismanic former player Nixon will bring a return to the glory days to add to their three T20 championships. To aid with this they have brought in another former champion to captain the side in Michael Carberry. 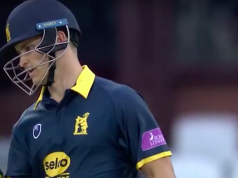 The ex-Hampshire and England opener is a natural winner and the Foxes will be hoping that this winning mentality will rub off on a group of players who have struggled for wins, especially in the first class game. It will be the Championship where Leicestershire will be hoping for the greatest improvement and are surely aiming for a top-half finish. When you make a signing of an international cricketer you expect the most from them and in Michael Carberry, Leicestershire have an international batsman who they are obviously expecting a lot from. They have named him as their captain and at the top of the order will be expecting him to supply a large amount of runs. Carberry joined from Hampshire initially on loan at the tail end of last season, then making the move permanent in the off season and the Foxes will be hoping he can bring his quality, experience and runs to the side. 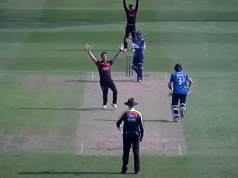 In the modern game you cannot be one dimensional and Ben Raine provides Leicestershire with an exciting three-dimensional cricketer. He is a hard hitting left handed batsman, whippy fast medium bowler and a player who turns singles into dot balls in the field. Raine, who spent a large part of last season injured but came back at the end of the season with some success, will be hoping to carry that form on into this season. If he can stay fit and firing then he will add extra balance to the side and give Leicestershire what every side wants, a genuine all rounder. Leicestershire have worked well in the off season to secure their overseas signings well in advance of the season starting and are very happy with the trio who have put pen to paper. The first-class season will be shared between Pakistan’s Mohammed Abbas and India’s Varun Aaron, Abbas for the first Championship game in April and then from late June, Aaron filling in in between. Both are right-arm medium quick bowlers who will add a great deal to their wicket threat, especially on early-season pitches offering some seam movement. The most exciting of the Foxes’ oversees signings in the Afghanistan all-rounder Mohammed Nabi for the Vitality T20 Blast. Nabi has represented his country over 150 times in 50 and 20-over cricket and will add a real X Factor to their lineup. He is hard hitting and economical with the ball and cricket fans around the country will be looking forward to seeing him plying his trade at The Fischer County Ground. Leicestershire will be hoping for improvement on last season, however realistically their best bet for success will be in the Vitality T20 Blast, building on their quarterfinal appearance last season. Sadly it’s likely that mid table obscurity beckons for the Foxes in Division Two of the Championship, there are sides who have much better squads and chance to succeed than Leicestershire and it’s tough to see them finishing higher than 7th in the table.